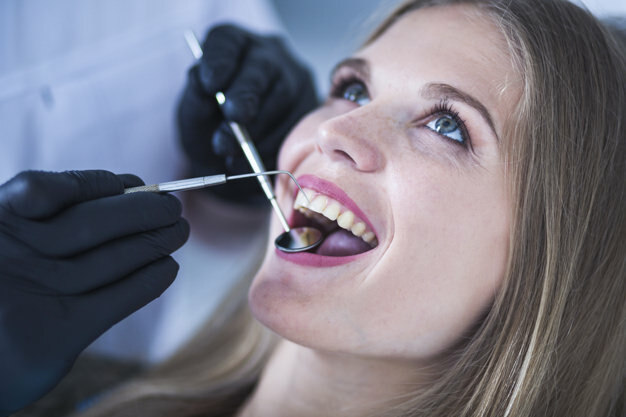 Designed to take place every six months, dental checkups are important to provide patients with comprehensive cleanings, x-rays, and other educational information regarding their teeth. Yet, this is also an important visit to determine if additional dental work is needed. As an umbrella term that involves the diagnosis, prevention, and treatment of oral infections and diseases, restorative dentistry incorporates a variety of procedures and materials to restore function and beauty to teeth. Even the most consistent and disciplined patient may need additional treatment to correct or strengthen teeth during their lifetime. Whether it’s a filling, veneers, a crown or bridge, a partial, inlays or onlays, or dental bonding, both dental professionals and patients benefit from a growing number of materials and methods for restoring teeth. Using porcelain, dental amalgam, composite resin, or even gold, fillings are designed to restore the surface of teeth. Generally placed on teeth in the back of the mouth, dental amalgam remains a popular filling material. Yet, many dentists and patients prefer using composite, or tooth-colored resins because they restore teeth with an aesthetic appeal. Similar to composite fillings, dental veneers are comprised of porcelain or composite resin, and are bonded to upper or lower front teeth. When patients suffer a broken or chipped tooth, veneers are an excellent way of reshaping teeth. In turn, they are beautiful and natural looking. Also widely used to restore the look, feel, and function of teeth are crowns and bridges. When teeth have been severely damaged, a crown is designed to encase the entire tooth. Crowns are versatile, and can be made of gold, porcelain, or ceramic material. Bridges, on the other hand, are a prosthetic used to replace one or more teeth. Crowns are commonly placed on either side of the bridge to serve as an anchor for adjacent teeth to attach to. While Restorative Dentistry brings strength and function back to teeth, individuals must remember that gum disease and tooth decay are always a threat. Thus, consistent oral care must continue. The team at Smile Avenue Family Dentistry welcomes your family to our practice today. You’ll enjoy a unique experience where more efficient and quieter dental instruments are used, as well as a variety of relaxing amenities for families and children. When it comes to your oral health, we are committed to helping you understand the best and most appropriate restorative dental treatments for you. You deserve to feel confident about your smile! Call today.